I am receiving more and more information from the Higher Realms, and at a faster and faster speed. I find that speaking and doing recordings allows me to say more than writing information down. People also feel a higher benefit from the voice frequency. I will of course continue with written work as well, but will still do more audio recordings than before. As a matter of fact I had agreed to do channeled work only until the 21st Dec. 2012 with SaLuSa and with other Ascended beings. I will still receive messages from above, but only when they contact me themselves, not the other way around. I am asked by my Higher Self to share a few of my experiences and thoughts with you all. Part of the writing here is coming from me, and part of it comes from my Higher Self. I am asked to no longer make any distinction between these two in my writings in the future. I first wanted to share with you how my 21st Dec. went. I felt extremely tired for the 21st, 22d and 23d of December. Looking back at those 3 days, I really needed some 4 or 5 hours of extra sleep in comparison with my usual 5 or 6 hours sleep per night, bringing me to some 10 to 11 hours sleep per day, which doubled my sleep routine over those 3 days. The fatigue seems to be a common pattern for many of us according to some articles and comments that I have read and also according to the survey I have done on my blog. As a matter of interest 4 days after the survey was posted, out of almost 300 people who replied to the survey on Multidimensional Ocean concerning how Ascension went for them, over 29.53 % replied that they have found the experience tiring. 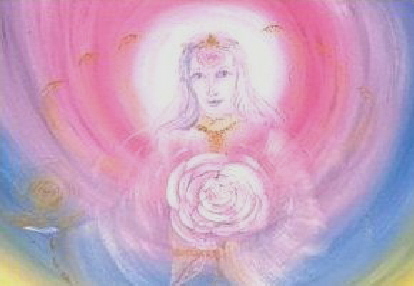 Ascension / 21st Dec.2012-Laura Multidimensional Ocean – YouTube. More Chats and Where to from Now On? a few of you want to get chatting some more than we do here. I am going to have to let you guys take all responsibilities on this matter if you would like to go ahead and set up a group or a forum somewhere else. I am afraid, I would not have the time or energy to take on board such a project myself, and I will not get the chance to participate in that project even as a guest. I would not have time to set this up, nor to moderate it, nor to advise on any approach, nor to answer questions or to chat any more than what I do already. Laura – Seen 6 Orange Continuous Lights in the Sky on Christmas at Midnight! Hi guys, I wonder does anybody know the convention for helicopters flying night time? What color light do they have? My boyfriend called me, just at 00:02 here (GMT time), as we finished our night meditation… We just watched the Abyss one or 2 hours previous to that. Anyway, there were 6 orange big big constant lights in the sky, passing near enough our home. no noise what so ever..
Well, we put on our suits- me and 3 others. The suits were very heavily armored, and with a transparent upside down bucket for a helmet. We teleported outside the ship. It was magnificent to be where we were, around a satellite, not an earth one, but a satellite of similar technological advancement as the ones orbiting earth. The satellite was orbiting a very blue planet, although there were many shades of blue, and an atmosphere that I could see move slowly beneath me. I seemed to just stare at it for a time. How Was Your 21st December 2012? =6787331]Hi guys, just popping over for a few minutes to ask you if you would like to share your experience of the 21st Dec. below in comments? I personally have been sleeping it off for most of these pas 3 days. Feeling super tired. My dreams have also been interesting… i recall being in contact with my family from all over the world. Feeling their love, even if we are over 2,000 km apart or more.